In the world of 1/4 sheet palm sanders there are only a handful tools most woodworkers gravitate to. The DeWalt D26441 palm sander is the yellow variety in this bunch. 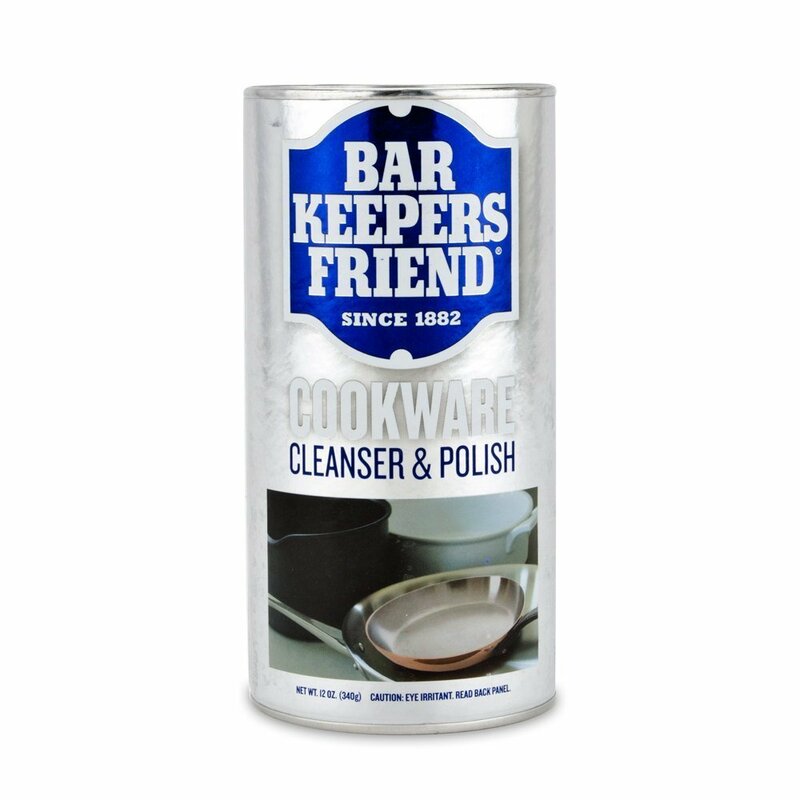 A lot of woodworkers and contractors swear by this little devil. Let's take a look at how well the D26441 did in our tests. 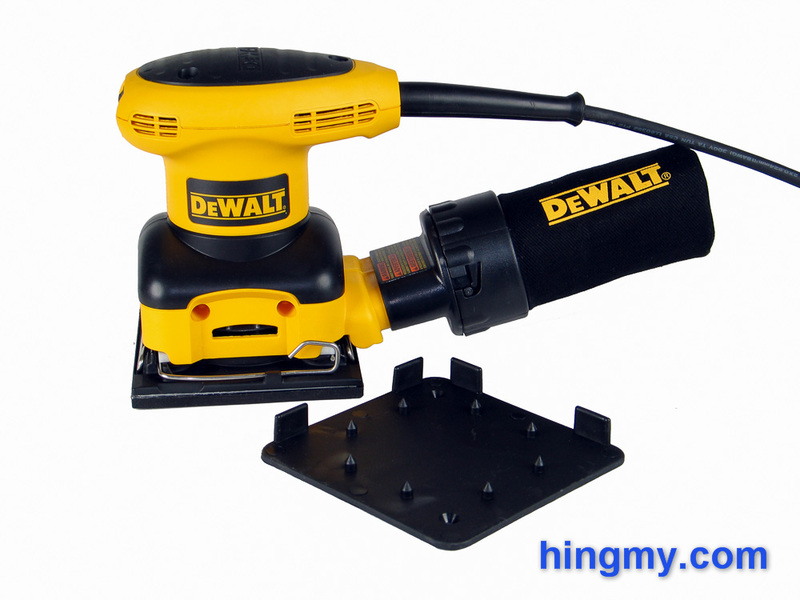 The D26441 is a typical 1/4 sheet palm sander. It has a rubber covered knob handle and a very square body. A dust collection bag connects to the oval dust port in the rear of the tool. 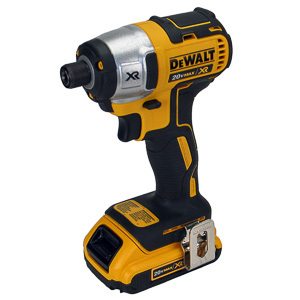 In most aspects DeWalt's design hardly differs from that of its competitors. As a whole the D26441 is dominated by plastic. The little metal there is is deep within the tool in the motor assembly and plate mount. This is not necessarily a negative, but leaves one to wonder. The base plate of the sander is also made from plastic. This again is not necessarily a problem, but underscores the assertion that this sander probably has finite life expectancy. The D26441 will serve you well for a very long time, but it has also been built to break. At this price level, however, that much should be expected. The On/Off switch of the tool is protected from dust by a rubber cover. This extends the life of the switch and the tool. The sander does not have a speed control lever. The motor always turns at its maximum speed of 14,000rpm. In most cases this will not limit the use of the sander. If you are doing very fine work and delicate material, however, the D26441 might not be for you. The 8 ft cord power cord again falls inline with the what the competition offers. The industry seems to have settled on this length as being a good compromise between length/usability and price/ease of storage. The D26441 uses the standard two-clip mounting system to secure the sand paper. A metal level activates a clamp on each end of the tool. The sand paper is held securely by the clamps. This traditional system works well. The sand paper never once moved or fell off during our tests. Paper changes, however, are finicky and take time. The low clearance between the rear clamp and the dust port make operation particularly bothersome on the D26441. The kit includes a hole punch for punching the required dust collection holes into the sand paper after it is mounted on the sander. The operation is done in seconds. The hardest part is not losing the hole punch. Without the holes in place dust collection performance of the tool drops to near zero. The exhaust air of the motor blows dust all over the place. The sander ships with a cloth dust collection bag and an adapter to mount the bag on the sander. The bag functions strikingly well. The sander picks up a surprising amount of dust without the addition suction provided by a dust collector. The cloth bag offers little air resistance allowing a lot of dust to accumulate in the bag. Unfortunately the bag is not a good filter filter. A lot of fine dust, the most dangerous kind, escapes the bag. Operating the D26441 with the cloth bag should be an occasionally occurrence. A dust mask is essential, and cleanup is required afterwards. The adapter also functions as the mounting point for the hose coming from the dust collector. Several concentric rings on the adapter allow hoses of different diameter to be installed. With the tool connected to a dust collector the D26441 begins to shine. The holes in the base plate collect almost all visible dust. If the sander is moved slowly virtually all dust is collected. In this mode the fine dust is collected and filtered in the dust collector. The bag that is included with the kit version of the D26441 misses the mark. Contractors are not going fill their truck with a collection of bags. For starters the bag offer little of the protection a solid plastic case offers. Accessories are left to roam free inside the bag. Hobbyists too will find a bag more of a hassle than a benefit. 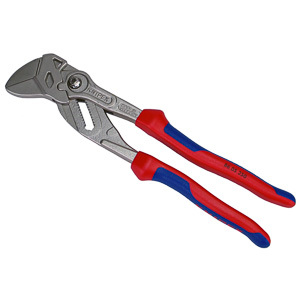 Maybe we are overreacting, but the market has moved on to offering tools in their own custom cases. Even standard case have been replaced with cases that lock together as part of a system. If you want to have your tool shipped to you in bag, DeWalt's version is certainly heavy-duty; as much as that is possible. DeWalt positioned the D26441 well within the palm sander market. The sander's motor output, the diameter of the orbital motion, and the rotation speed of the motor compare well to the competition. These attributes combine to make the D26441 perform well in our sanding tests. Side by side the DeWalt performed just as well as the equally speced Porter Cable. We'd be splitting hairs if we claimed one was better than the other. The missing speed adjustment puts the sander into aggressive sanding mode every time. Proper sand paper selection and movement are essential to manage heat buildup and to eliminate over sanding. 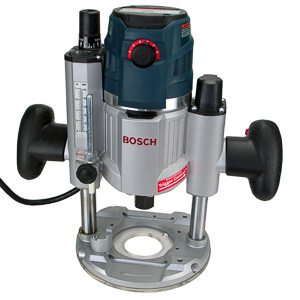 The knob allows the sander to glide over the surface easily. One hand is enough to control the tool. Just like any other tool, the story changes when a hose is attached to the tool. What used to be a light agile tool becomes a hard to control snake. The adapter on the tool does what it can. 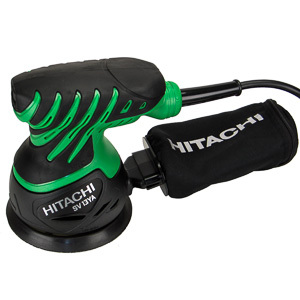 It secures the hose to the tool without any rattles or moving parts. The tool can still be guided by the knob handle without having to place the second hand on the hose, but the weight of the hose is noticeable. The 1/4 sheet palm sander market is a very competitive place. The tools from the big manufacturers closely mirror each other in performance, design, and price. Accessories such as a case are often the defining characteristic. 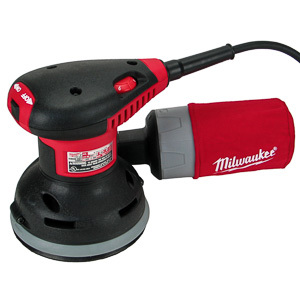 Milwaukee Tool's 6020 palm sander distinguishes itself with a novel sliding lever paper change system. The tools comes in a carrying case with the standard hole punch and collection bag. Bosch went a different route and mounted a filter in the dust collection bag of the BO4556 palm sander. This tool filters fine particles from the exhaust air better than most other sanders. 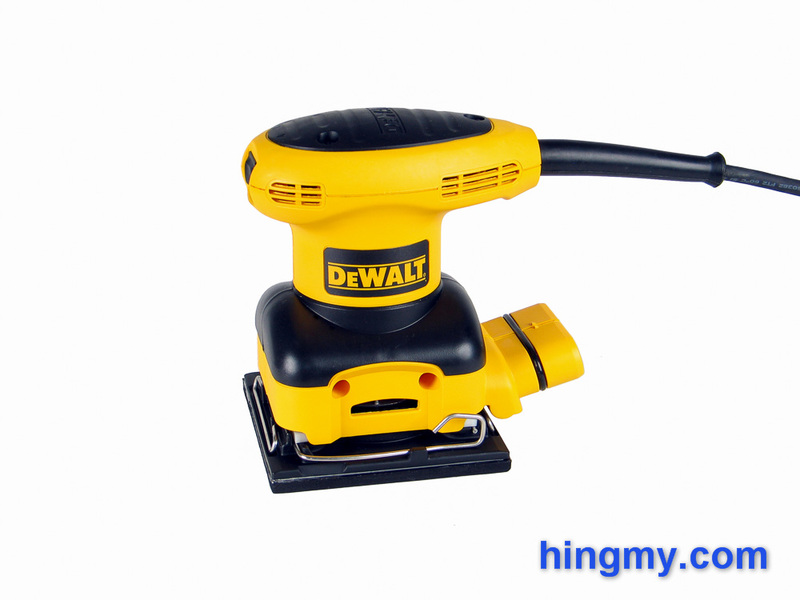 The DeWalt D26441 is a solid, middle of the pack 1/4 palm sander. 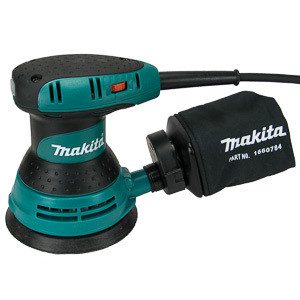 It offers all the basic features one would expect from a sander of this type down to the look and feel of the tool. Everything it does it does well without impressing. The plastic body and base plate further the impression of mediocrity. Sanding performance is good, if not a bit too aggressive at times. Few do better in this price range. A dust collector is required to run the D26441, if you don't want any dust to escape. 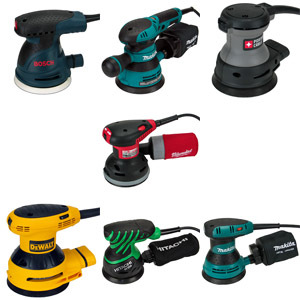 Without a collector the sander is a dust machine, just like all its competitors. On it's own the D26441 is a good buy. 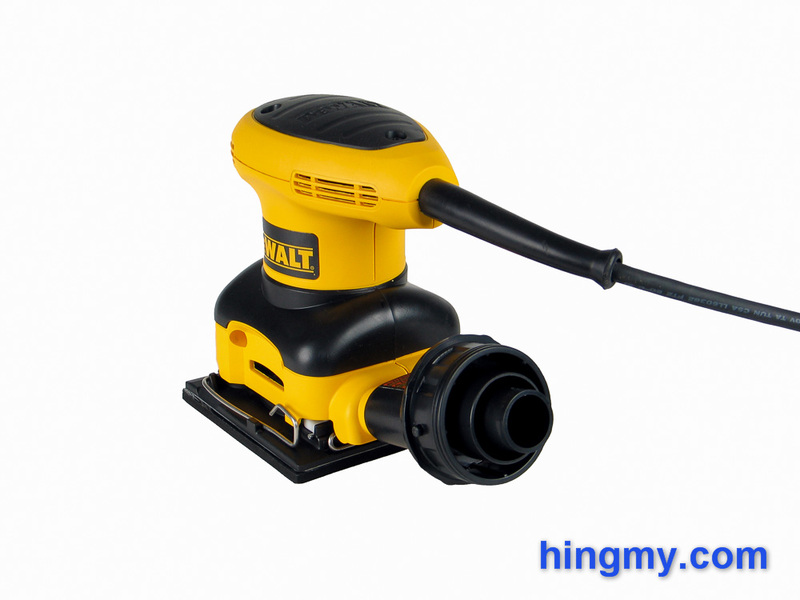 If you are into yellow colored tools, this sander performs as good as all similar priced tools. The competition offers one or the other additional feature, but none of these are essential. 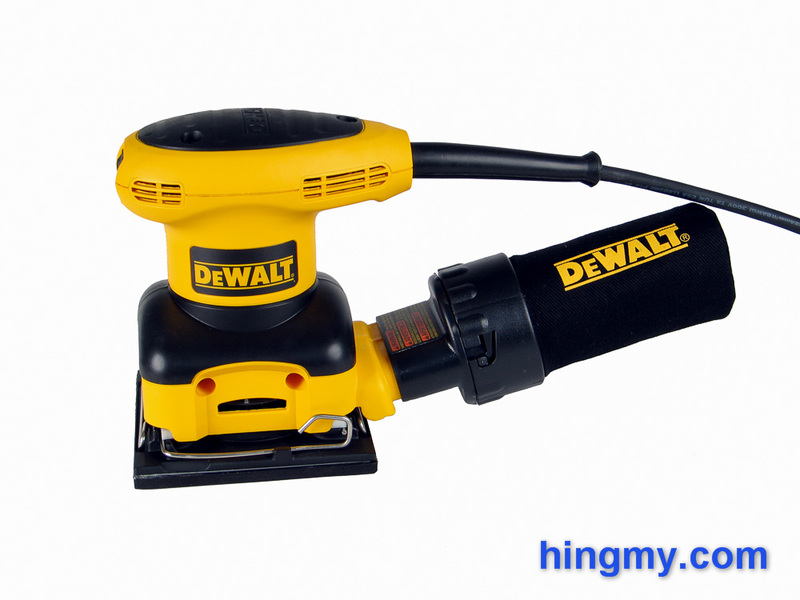 For what you pay for the DeWalt D26441, you get a good amount of performance and value.